The simple way to reduce the costs of maintenance and servicing for company owned and grey fleet vehicles. The cost of maintenance is a major one that is faced by all businesses that run fleets of all sizes. With Autoserve fleet maintenance cards you will enjoy savings on servicing and maintenance costs, a fully managed booking service including free collection and delivery of vehicles, technical experts on the end of a phone for advice and peace of mind. 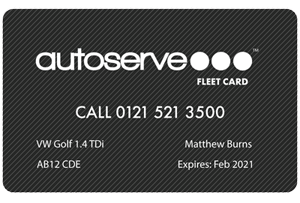 With Autoserve’s Fleet Management cards you could easily save 40%* on your servicing bills. The average cost of servicing a vehicle is currently said to be £554 per annum**. You could see savings of 40% on main dealer prices, saving on labour costs, parts and MOTs. **On average it costs £554 per year to maintain a vehicle, therefore the saving and convenience of Autoserve maintenance packages becomes a must have.